Technically a perennial, an Alyssum is treated as a hardy annual smothered in tiny blooms, much loved by insects. It is capable of surviving light frosts than could kill more tender plants. With its beautiful clusters of rounded fragrant flowers it has 4 small petals, and are very effective when lots are planted together. Use as a bedding plant and for seasonal colour in pots and hanging baskets. 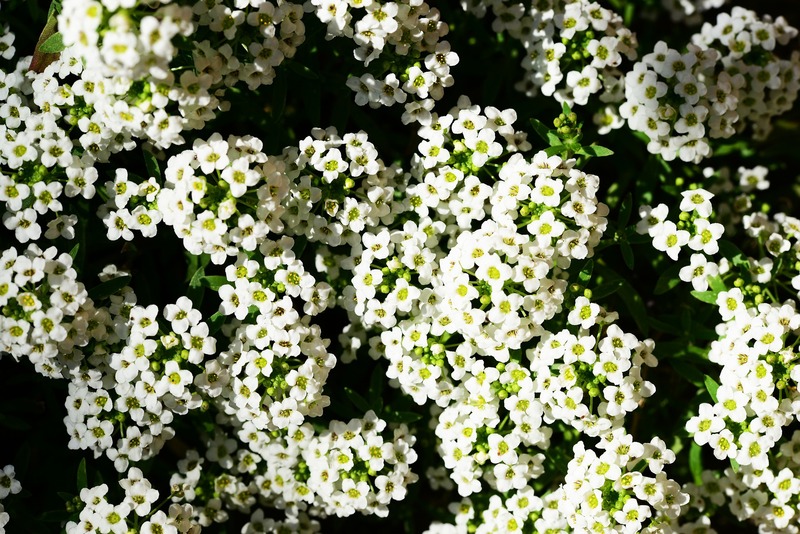 For an abundance of white flowers try Alyssum ‘Carpet of Snow’. Although it is a hardy annual, due to the small size of the seeds best results are obtained by sowing indoors between February and April. Sow into trays of Gro-Sure Seed & Cutting Compost and keep at around 10-15C (50-60F). Pot on small plants once established and gradually acclimatise to outside condition over 2-3 weeks. Plant out from late April onwards and feed throughout the summer months with Gro-Sure All Purpose Plant Food for long lasting flowers. The Alyssum just needs a small cut with a pair of garden scissors. Remove approximately half the growth to promote further flowering and keep the plants tidy.